Available in paperback or as a Kindle book. If you desire, human being, look at the light of God’s Presence in everything. 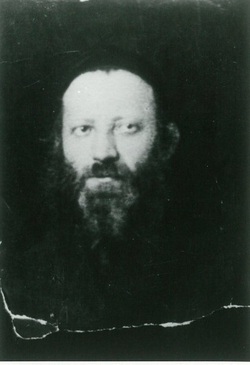 Rabbi Avraham Yitzchak Kook (1865-1935), first Chief Rabbi of the holy land, was a Talmudic genius, a communal leader, a saintly personality, an impassioned visionary, a fighter for social justice, a poet and–most of all–a mystic. He was also a deeply original thinker, the breadth, inclusive spirit and transcendent ecstasy of whose teachings embrace the entirety of creation. Rabbi Kook was a poet of the soul and a spokesperson for a complete human spirit that embraces contradiction, that reconciles the poles of this-worldly and other-worldly experience. His writings celebrate the union of legalism and poetry, particularism and universalism, faith hidden in atheism and atheism hidden in faith, the spirit revealed from the flesh, and beauty revealed through ugliness. Rabbi Kook’s writings are the gifts of a universal teacher. Although he is principally known to the English-speaking world for his teachings on repentance and Zionism, he was a polymath who addressed every possible topic, and always brilliantly: poetry and war, divine immanence and evolution, social justice and aesthetics. All of these caught his attention and were refracted through his ever-searching mind and soaring soul. This site presents selections of the brilliant and powerful ideas of this magnificent philosopher and mystic on a broad range of topics. It is the largest collection of Rav Kook teachings in English on the Internet. To find out more about the translator, Yaacov David Shulman, click here. Gaze at the wonders of creation, at their divine life—not like some dim phenomenon that is placed before your eyes from afar. But know the reality in which you live. Know yourself and your world. Find the source of life inside you, higher than you, around you. [Find] the beautiful ones alive in this generation in whose midst you are immersed. The love within you: lift it up to its mighty root, to its beauty of Eden. Send it spreading out to the entire flood of the soul of the Life of worlds, Whose light is reduced only by incapable human expression. Seek them, and you will find them instantly. Available now in paperback or as a Kindle book.